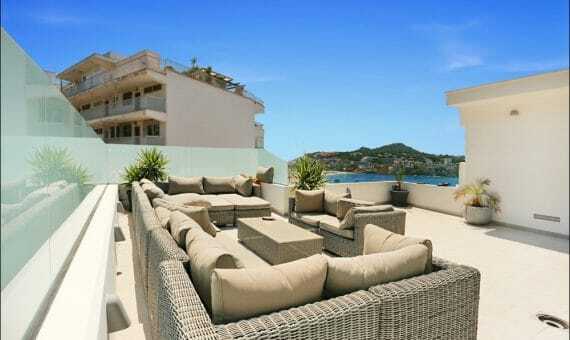 A magnificent apartment in an exclusive residential complex close to the sea in Nova Santa Ponsa, Majorca. The housing complex is surrounded by beautiful gardens, wide terraces, a communal swimming pool and paddle court. 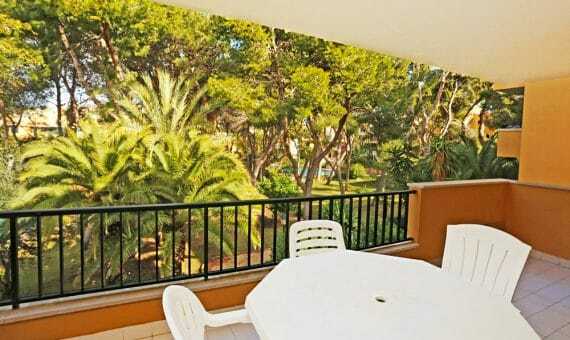 It is located at small distance from the prestigious yacht club of Port Adriano and its beautiful beach. The apartment of 236 sqm is distributed in the following way: a wide lobby, a bright living/dining room with access to a terrace, a separate completely equipped kitchen, 4 bedrooms, 3 bathrooms (1 en suite), utility room and store room. The apartment is equipped with air conditioning w/c, marble floors and is completely furnished. There is also a parking space in the garage. The center of Santa Ponsa, where you can find a lot of restaurants, cafes and supermarkets can be reached in a few minutes by car.